Although travelling to any part of the world carries certain health risks, embarking on Hajj or Umrah poses a number of additional challenges due to the hot climate, the strenuous nature of its rites as well as the gathering of large crowds. Being aware of what to expect and preparing for your trip sufficiently can effectively minimise your chances of falling ill during your journey. Saudi Arabia has a desert climate which can get extremely hot during the day, with temperatures averaging about 45° C during the summer months. Readings in excess of 50° C are not unusual. 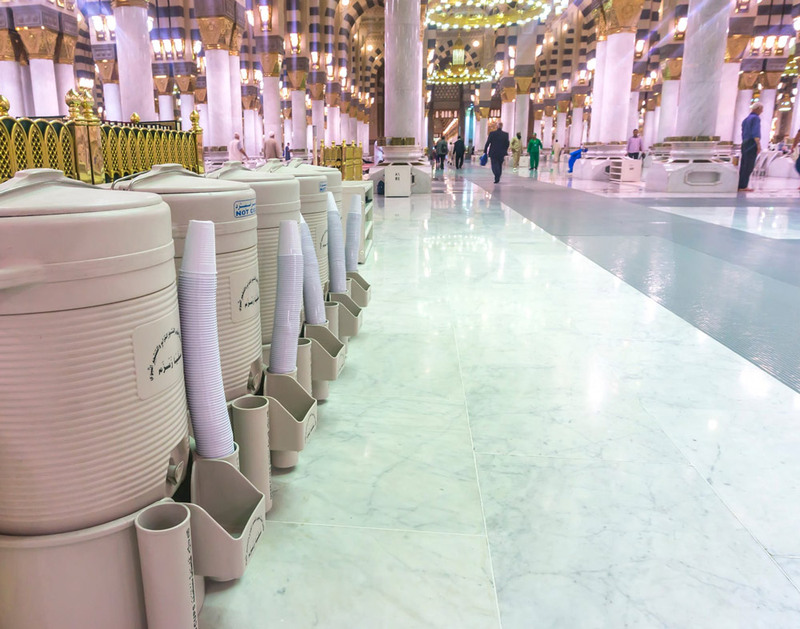 Heat exhaustion can, therefore, be quite a common problem during Hajj or Umrah, particularly for those from countries with a cooler climate. Overcrowding resulting in a lack of proper air movement. Being unaccustomed to hot weather. 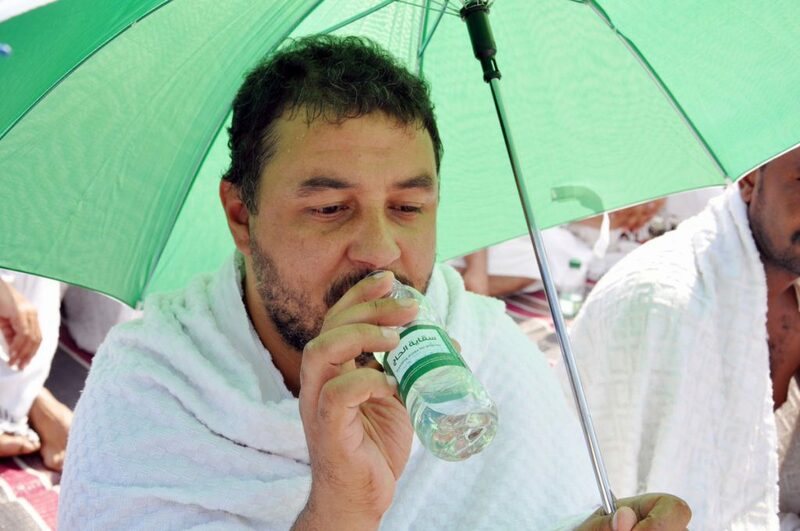 Performing certain rites of Hajj which may be physically demanding, particularly in hot weather. Traffic jams and lack of air conditioning in cars and buses. Suffering from illnesses such as diabetes and heart disease. Heat exhaustion may cause dizziness, disorientation, fatigue, nausea, headache, muscle cramps, hallucinations and loss of consciousness. It is more likely to occur if you’re dehydrated and can lead to heat stroke. Heat stroke occurs when the body’s temperature increases to dangerous levels due to excessive heat exposure. The body begins to overheat as a result of the inability to cool itself down. Drink plenty of liquids (water, juices etc.) to stay well hydrated. Avoid prolonged exposure to the heat and the sun (although sometimes this may be unavoidable). Use an umbrella (preferably light-coloured) or head cover (if you’re not in the state of Ihram) and keep in the shade as much as possible. Rest sufficiently after performing Hajj and Umrah rituals. Cool the body down with water, ice, air conditioning etc. Drink a lot of water – hydrate as fast as possible. Move to a shaded area if you’re exposed to the sun. Seek medical attention in severe cases. Being sufficiently hydrated is vitally important to prevent heat exhaustion and other health risks. Copious amounts of water should be consumed during your stay. 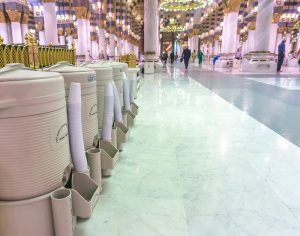 Please be advised that tap water isn’t safe to drink in Saudi Arabia, although bottled water and Zamzam water is readily available. Due to the hot conditions, the body conserves more water by concentrating urine and therefore, the need to pass urine is reduced. You must drink enough water such that the urine is clear, indicating good hydration. As a general rule, you should aim to consume about three litres of liquid a day, with the vast majority of it coming from water although fruit juices and soups can be included in this amount. Tea and other caffeinated beverages may lead to dehydration because they can have a diuretic effect, so must be avoided or consumed in minimal amounts. 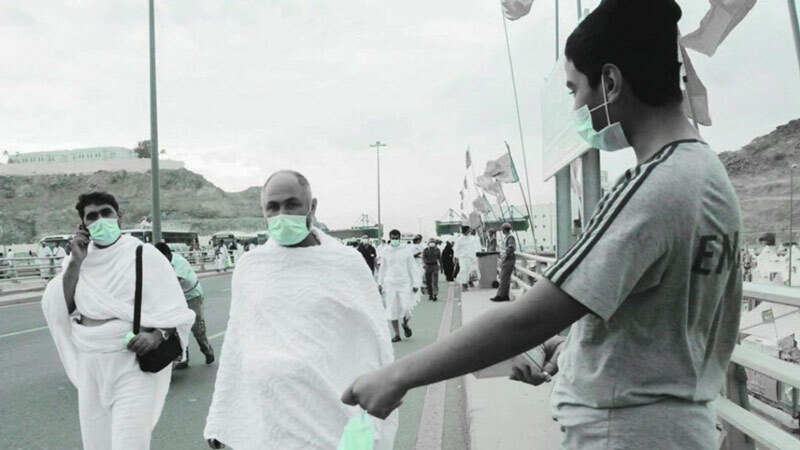 Due to the convergence and unavoidable closeness of hundreds of thousands of pilgrims from all over the world in large crowds, respiratory infections are very common. These infections spread through close contact with people who are talking, coughing, sneezing and blowing their noses. The most common form of infection is the Influenza virus with symptoms including a cough, runny nose, bodily aches and pains, fever, nausea and headache. Wash your hands frequently, especially after coughing, sneezing or using tissues. Wear a facemask, particularly in crowded places and importantly, if you suffer from an illness which has resulted in decreased immunity. Cough or sneeze into your arm rather than your hand and turn away from people when doing this. Don’t share towels, cups, dishes and other cutlery. Maintain a high-fibre diet e.g. high fibre cereal, wholemeal bread, dried fruit, fresh fruit, vegetables etc. Wash your hands thoroughly with soap and warm water or use a disinfectant hand cleanser, particularly after going to the toilet and before eating food. Drink lots of liquid, preferably oral rehydrating fluids, such as Hydrol or Rehydrate. Eat carbohydrates, fruit and vegetables. Avoid taking anything to stop the diarrhoea if it is very frequent. Avoid eating more if you’ve lost your appetite. Avoid protein foods such as meat, chicken, fish, eggs and other dairy products. Food that is uncooked thoroughly (particularly meat). Food that needs to be chilled at below 5° C not correctly stored. Leaving cooked food for too long at warm temperatures. Not sufficiently reheating previously cooked food. Someone who is ill or who has dirty hands touching the food. Eating food that has passed its “use by” date. The spread of bacteria between contaminated foods (cross-contamination). Wash your hands thoroughly with soap and warm water or use a disinfectant hand cleanser, especially after going to the toilet and before eating or handling food. Don’t keep cooked food in buses when travelling between Hajj sites. Wash raw vegetables and fruits thoroughly before eating, especially those that won’t be cooked. Avoid foods that have an unusual odour or a spoiled taste. Keep away from uncovered food which is exposed to insects and pollution. Skin problems may be aggravated by the climate. It is vitally important to bring the condition under control as best as possible prior to the journey, as scratching of the skin should be avoided whilst in the state of Ihram. Medications and creams can be used to prevent itching. Due to the intensity of the heat, a heat rash may appear on people who have sensitive skin. It occurs when the skin’s sweat glands are blocked which causes inflammation as sweat cannot reach the surface of the skin leading to a rash. The skin can become reddened and itchy and can prove quite a nuisance. If a rash does develop, calamine lotion can be used to soothe the skin and loose-fitting clothing should be worn. Pilgrims may suffer from dry skin on various parts of the body. Dry skin can lead to cracked heels which may be exacerbated by walking around on the hard, dry marble in the Haramain. To prevent and treat this condition, moisturise frequently. Similarly, dry eyes may also become an issue. If you are prone to this problem, make use of sunglasses and consult your optician before your depart. Another fairly common skin ailment is inner thigh chafing which is often experienced by men whilst in Ihram. Sweating and rubbing of the thighs while walking can lead to friction burn, especially affecting those who are overweight. To prevent this, men are advised to apply Vaseline or another non-scented moisturiser to the area whilst in Ihram. As a result of travel, worship and the rites of Umrah and Hajj, it will prove difficult to sleep for more than 4 hours at a time. Sleep deprivation causes irritability, excessive drowsiness and yawning, which can interfere with balance, coordination, and decision-making abilities. You will almost certainly experience some sleep deprivation and tiredness during your journey, so you must try to formulate a decent sleeping routine, ensuring you don’t omit any Hajj rites or compromise on your worship. 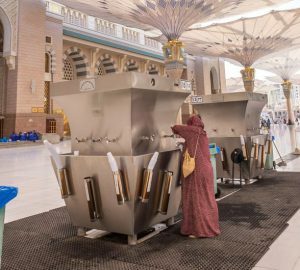 Marble flooring is used extensively around the Haramain. This can become very slippery when wet, which may cause serious injury to your elbows, wrists, hips and back in the event of a fall. To minimise the risk of falling, leather socks or two pairs of regular socks may be worn. Additionally, the sun’s glare often reflects off the white marble, potentially causing problems for those with sensitive eyes. To prevent this, sunglasses can be worn around the Haramain. Sunglasses are permissible to wear in the state of Ihram. 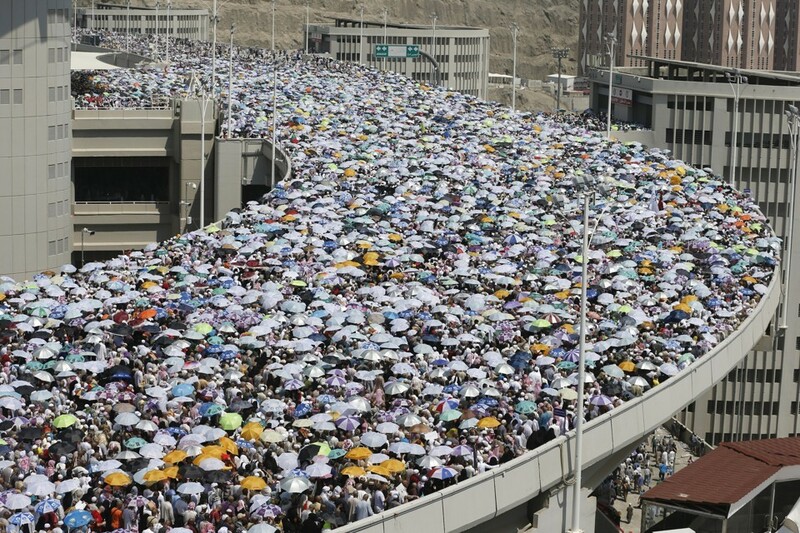 Avoid peak times – Some Hajj rituals, such as Rami al-Jamarat, can be performed throughout the day. It is advisable to complete these rituals at times when there isn’t as much of a crowd as there normally would be during peak times. As pilgrims walk long distances close to or through busy roads, road traffic accidents are a major cause of injury and death. To avoid being injured in a road traffic accident, take care when crossing roads, follow road safety rules and always wear a seat belt when travelling in a vehicle. Pilgrims suffering from chronic illnesses such as diabetes, heart problems, high blood pressure, arthritis, asthma etc. should ensure that they control their illnesses to the best of their ability prior to departure and during the journey. If the symptoms are not regulated during the course of the journey, the entire Hajj or Umrah may not only be ruined for the pilgrim, but for others in the group as well. A doctor must be consulted at least 3 months before departure to provide advice about medication and to bring any illnesses under control. We have provided advice regarding some common chronic illnesses although these should be discussed in more detail with qualified medical professionals. Consult your doctor at least 3 months before your journey to assess your health situation and bring your symptoms under control. Closely follow the instructions of your doctor. Take your medication with you, ensuring they are stored properly. Take your medicines when required, as instructed by your doctor. Designate persons in your group to help you with your illness – inform them of your health issues, medication, what to do in an emergency and who to contact etc. Seek medical attention immediately if an emergency arises. Ensure you wear your wrist strap or information card which displays your details, illness and treatment. Avoid strenuous effort and make use of facilities such as wheelchairs. Be aware of symptoms of low blood glucose levels and how it should be treated and managed. Carry glucose tablets and sweets. Prevent foot problems by wearing protective and comfortable footwear that have been sufficiently “worn in” i.e. they are not brand new. Use an umbrella for the sun and always carry water. Store insulin in a cool bag, away from direct sunlight. Reduce the amount of salt you eat. Maintain a generally healthy diet. If you’re a smoker, make an effort to stop smoking well before you go on Hajj or Umrah. If you live a sedentary lifestyle, make an effort to start exercising and prepare yourself physically for your journey. Exercise to strengthen muscles around the affected joint (consult a physiotherapist). Use non-steroidal anti-inflammatory drugs (NSAIDs). Take medication regularly whether they are tablets or the use of inhalers. Avoid drinking cold water or juices; cold fluids may cause an asthma attack. Distance yourself from people who are showing symptoms of respiratory infections such as coughing and sneezing. Wear a facemask as and when needed, particularly in crowded places. Remain as active as possible although don’t lift, pull or push anything heavy just before departure. Take exercise classes or do exercises that help to strengthen your core muscles and improve your posture. Undertake manual therapy such as physiotherapy or chiropractic. Sit upright and avoid slouching. Take care when lifting luggage, ensuring the knees are bent and the back is straight. Use luggage with wheels that can be pulled rather than having to be lifted. 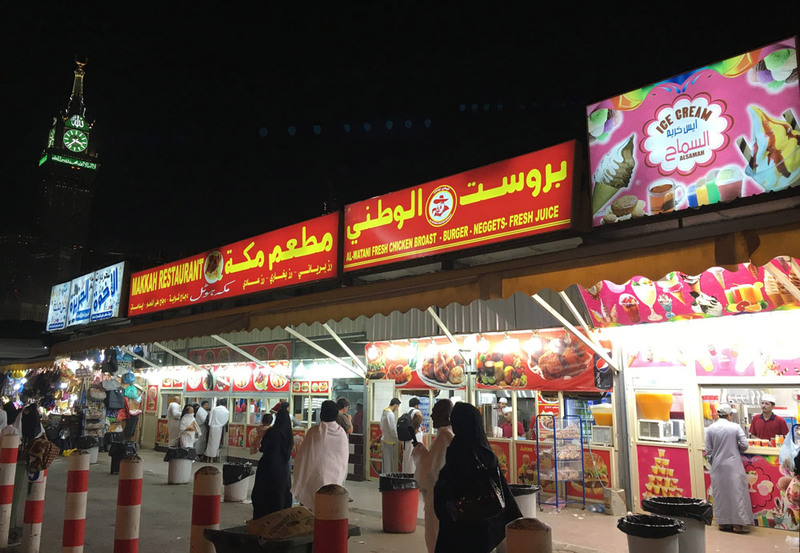 There is an abundance of hospitals, clinics and infirmaries in the Kingdom of Saudi Arabia, staffed by thousands of health workers. Basic healthcare facilities are free of charge for pilgrims. Wheelchair facilities are also provided to those who have difficulty walking. As of 2010, the Ministry of Health disclosed that there were 24 Health Ministry hospitals – 7 hospitals in Makkah, 10 in Madinah, 4 in Mina and 3 in Arafat, with a total capacity of 4,005 beds. There was also 144 health centres in and around Makkah and in Madinah. 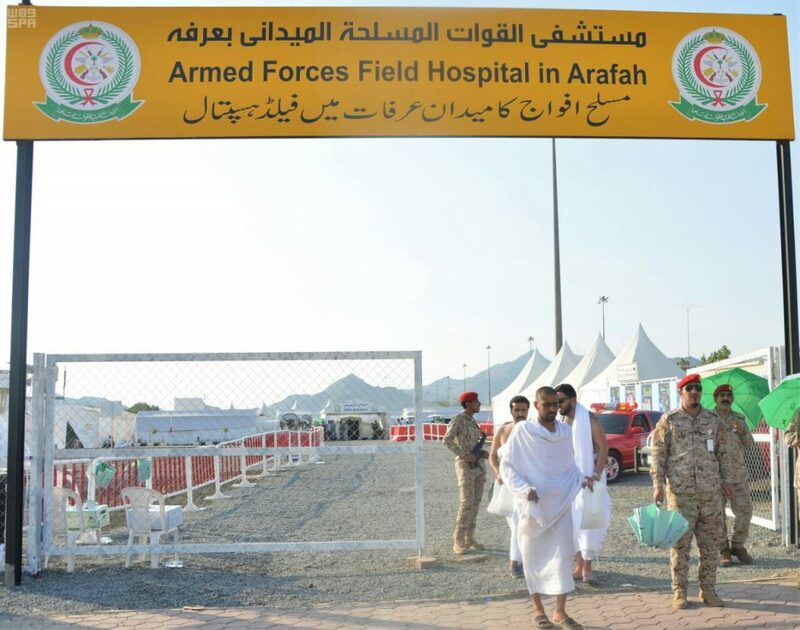 Of these, 127 health centres were in Makkah and the holy sites – 31 centres in Makkah, 46 in Arafat, 28 in Mina, 6 in Muzdalifah and 16 centres at the Jamarat Bridge. There were also 10 health centres in the vicinity of Masjid al-Haram. 12 pharmacies were assigned in Mina to provide medical services to the pilgrims. 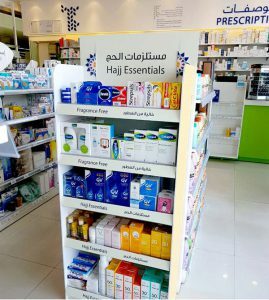 Pilgrims are encouraged to bring a reasonable supply of over-the-counter drugs for common ailments, as well as first aid supplies to deal with issues such as muscular pain, stomach problems, cuts, nausea, headaches, etc. Cold & flu relief medication. Moisturising cream for dry skin. Cream/balm/lotion for skin irritation and cracked/dry skin on heels. Throat lozenges/spray and cough syrups for coughs and sore throats. Diarrhoea tablets e.g. Imodium for an upset stomach. Plasters/blister plasters/bandages for cuts, burns and blisters. Sun block to minimise the risk of heat exhaustion and heatstroke. Muscle pain ointments/creams for muscular/joint aches and pains. Oral rehydration salts to treat dehydration especially due to diarrhoea. Although many of these items will be available in local pharmacies, bringing your own medication will save you the trouble of having to make the trip to the pharmacy. 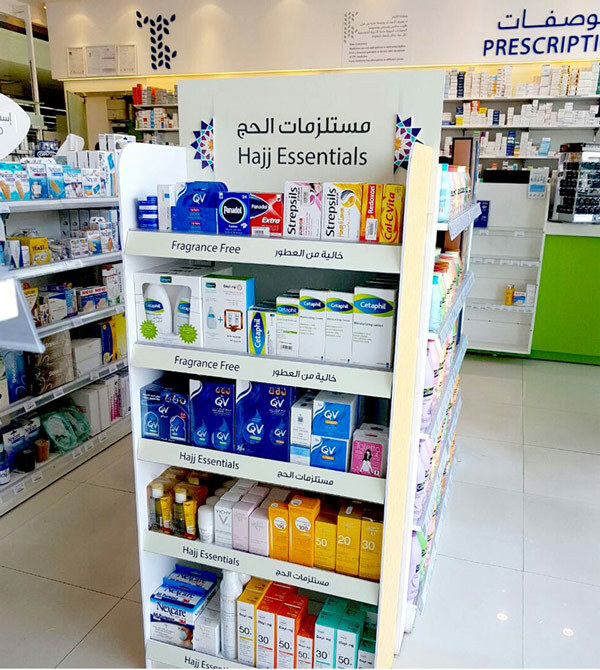 Ensure you take these and other medications you may need to Mina, Arafat and Muzdalifah during your Hajj. 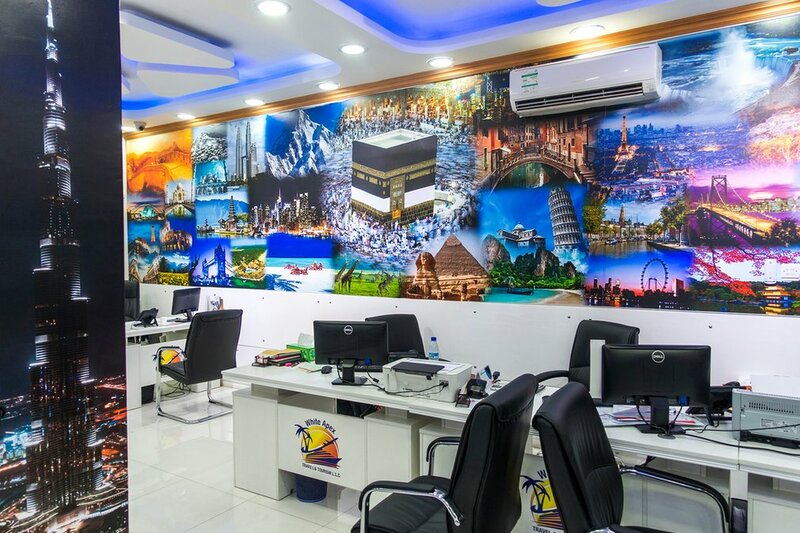 Choosing the right travel agent / tour operator for your Hajj or Umrah is crucial. Although many travel agencies offer Hajj and Umrah services, they often vary in terms of quality and pricing.